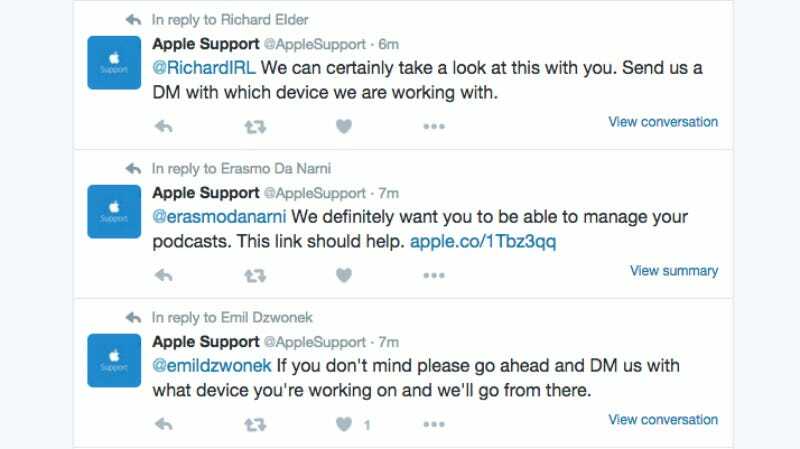 Apple launched a tech support Twitter account this morning. It already has over 55,000 followers. Shockingly, no one’s trolling it. People are asking actual tech support questions. And people are already taking Apple up on its offer in droves. In between the warm welcomes and suspicious lack of jerks, Apple users are taking the opportunity to dump all tech questions and photos of frayed charging cables—with thousands of new followers by the hour. Why go to the Genius Bar when you can just beam Apple 140 characters worth of woes on Twitter while you’re hungover on the couch with a bag of Fritos? We’ll keep an eye on @AppleSupport, which has been tweeting like a songbird nonstop since it went live five hours ago. Keep the sausage queries coming, friends.